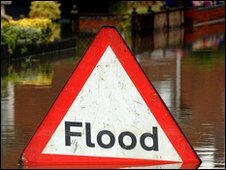 Plans to replace Lincolnshire's flood warning system with modern technology are due to be discussed. The 46 sirens, which date back to World War II, are outdated, in the wrong places and difficult to repair, according to a council report. Emergency planners instead want to alert people to potential flooding through the media, phone, text and pager messaging systems. Lincolnshire County Council said public safety was its main priority. The current flood warning system was originally put in place as air raid sirens. David Powell, head of emergency planning at Lincolnshire County Council, said "Although the sirens are nostalgic for many people, much wider coverage can be gained by the more modern alert systems." Although 68 per cent of coastal homes in the county are already signed up to the Environment Agency's flood warning direct service, the council hopes to achieve a 100 per cent sign up. Lincolnshire County Council planners will discuss the move at a meeting next week.